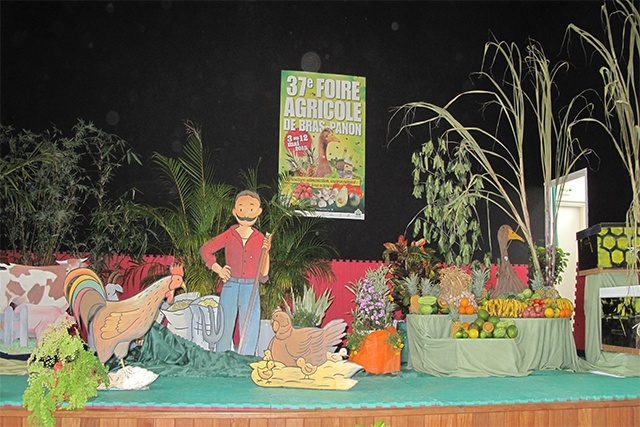 (Seychelles News Agency) - Seychelles has lifted an embargo that prevented the importation of fruits and vegetables from neighbouring Reunion Island. The ban came into force in the 1990s after tomato production in Reunion -- a French overseas department in the Indian Ocean -- was greatly affected by fruit flies. The Seychelles Agricultural Agency says the embargo was lifted at the beginning of the year. In an interview with SNA this week, the chief executive of the agency, Marc Naiken said this was at the request of the French authorities, which deemed it’s no longer necessary. "Recently we had a round table discussion and took the decision to remove the ban. What we will have instead is a risk assessment for each vegetable or fruit [coming from Reunion] to see the possible risk of infection," Naiken told SNA. Reunion Island is located some two hours away by plane from Seychelles – a 115-island archipelago in the western Indian Ocean with a population of around 93, 000. The archipelago, whose economic mainstay is tourism, relies heavily on imports to satisfy the demands of the industry on top of that of the resident population. Naiken says the new measures would save importers from going further and paying more for products that can be sourced closer to home. "Pineapple is a good example as they are available all year round in Reunion,” he added. The Seychelles Agricultural Agency is however maintaining its ban on the importation of fresh lychees from Reunion as the fruit is attacked by an insect, which the authorities believe would have devastating effect on mangoes in Seychelles. Naiken said that lychees could be easily imported as fruit juices or in frozen form. Some Seychellois businesses were in Reunion Island in July to see the various products available that be could considered for imports to Seychelles. The chief executive of the Seychelles Trading Company -- the largest importer of food products in the island nation, also made the trip. Trade between Seychelles and Reunion is almost non-existent at the moment. It is hoped that that the lifting of the embargo on fruit and vegetable imports will reverse the trend. New flight arrangements is also expected to add to the efforts. Following discussions between Club Export – a body that promotes exports from Reunion, and the Reunion-based Air Austral, the airline will cease to depart Reunion at night for Mahe, Seychelles’ main island, as of October. The airline will instead leave Reunion at 8.30am reaching Mahe at 11.10am allowing the clearing of fresh products to be done on the same day.